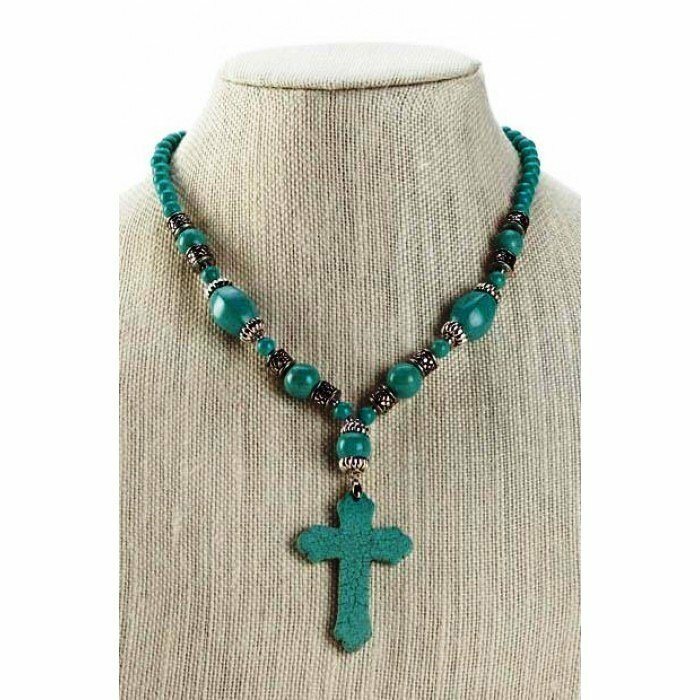 TURQUOISE CROSS NECKLACE home decor, jewelry, decor, decorations, electronics, fountains, floor mats, art glass, vases, garden essentials, fireplace screens. Gorgeous! This incredible statement necklace has a variety of turquoise-color stones mixed with decorative silver metal beads. The centerpiece is a magnificent turquoise-color cross. It will look great dressed up or with a simple tee shirt. Material(s): SYNTHETIC TURQUOISE ALLOY METAL. Weight 0.8 pounds. Dimensions 18" x 0.25".